New Year’s Day has passed and the 2015 festivities are over, but in New England the winter weather is just beginning. As we prepare for winter weather and conditions, it’s important to adjust driving behavior and preparation. We’ve been lucky in 2015, experiencing milder-than-normal weather, yet it’s best to be prepared. Stay safe this 2016 winter season, paying attention to the following driving safety tips. Insurance agencies and police officers remind drivers to drive with reduced speed in the winter. 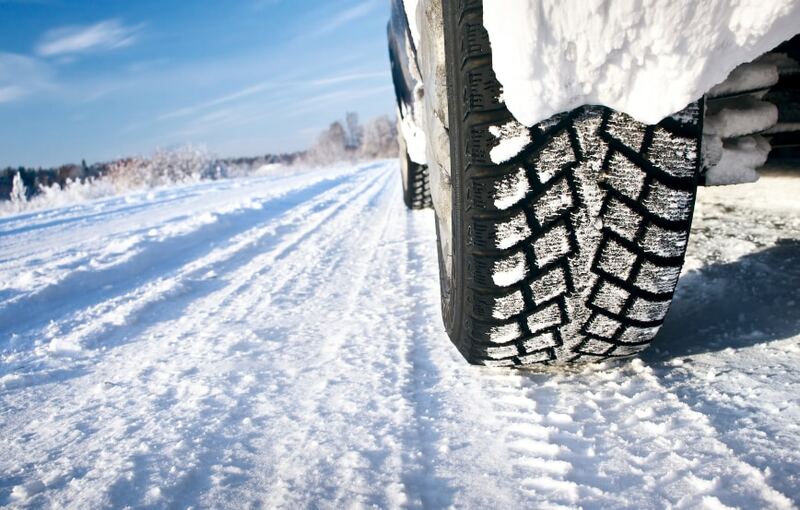 Four-wheel drive, anti-lock brakes, and traction control help but technology is limited; awareness and vigilance are your best defense against wintry driving conditions. Be especially cautious during certain times and in particular conditions. Some roads will be more dangerous at the onset of a storm, before they are cleared and treated. In heavy snowfall, snow accumulates substantially despite the plowing of roads. Be wary of peak travel periods in the morning and evening rush hours. Back roads can pose threats as well due to the number of people avoiding highway traffic. A change from snow to rain or vice verse can create black ice, flooding, downed limbs and power lines, and accumulated snow and slush on the roads. Ideally, it’s best to stay off the road, but if you must drive in the snow, take added precautions and adjust your driving technique. Accelerate and decelerate slowly. Slowly accelerating helps gain traction faster. Begin braking well ahead of stop signs and red lights. Provide an eight to ten second following distance. You will need more time to stop and avoid vehicles in front of you. If you can, try not to come to a complete stop. There’s a significant difference between starting from a stop and gaining speed from a slow roll. Don’t power up hills; gain momentum before you get to the hill and proceed down the hill as slow as possible. RIDOT alerts motorists of real time conditions. In addition to the television and radio (1630 AM), stay updated by checking Facebook and Twitter. In addition to safe driving, be mindful of the safety of others on the road. After a storm, clear snow and ice from your car windows, hood, and roof. A sudden release of snow from a box truck, tractor trailer, or large vehicle can create a safety hazard for other drivers. Clearing snow and ice from your car keeps other drivers safe, and in Rhode Island, it’s a law. We wish you a safe and happy 2016. Unfortunately, accidents happen, and if involved, you’ll need to seek the assistance of an experienced professional. A personal injury attorney can help you make a claim against a person or party that caused you harm. A lawyer helps educate you on the law, helps with case specifics, and identifies the types of compensation you deserve. Be aware that personal injury cases have a statute of limitations, most between two and four years. It’s essential that you consult an attorney and immediately file a claim if you are injured in an accident.